Kevin Waide joined Business Acquisitions, Ltd. in 2000 as a Mergers and Acquisitions Specialist and began serving in his current position as the firm’s Managing Director in 2009. Kevin has spent most of his career in the financial arena, both public and private. Immediately before joining Business Acquisitions, Ltd., Kevin was Business Development Director for a large public accounting firm for seven years in the Denver metro area, where he assisted business owners in better understanding their company’s financial condition. He accomplished this task by performing business analyses, tax reviews and operating valuations. During this period, he had the opportunity to meet and work with over 1,100 different business owners in Denver and its surrounding communities. 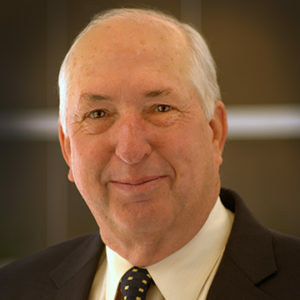 Under his direction, the firm became the second largest practice nationally in a network of over 300 affiliate offices. Prior to working in the accounting profession, Kevin spent fourteen years in the investment banking business in Colorado and Iowa, holding titles of Vice-President and Director of Corporate Finance. While serving as Director of Corporate Finance for two firms in Colorado, he structured and syndicated nine initial public stock offerings (IPO’s). In addition, he raised private capital for Limited Partnership Investments and Private Placement Stock Offerings while managing the personal investments of numerous clients. Kevin has a BA in Business Administration from Central College in Pella, Iowa. He is licensed with the Colorado Real Estate Commission and has served on the Board of Directors of the Colorado Association of Business Intermediaries (CABI). In addition, he was elected and served as President of CABI in both 2011 and 2012. Kevin’s combined background in accounting, marketing and corporate finance brings a unique blend of experience and talent to the mergers and acquisitions industry and to Business Acquisitions, Ltd. in particular. In his leisure time, Kevin enjoys spending time with his three sons, Dakota, Jordan and Alex and with his wife, Peggy, of thirty-nine years. His hobbies include fishing, hunting and competing his German Shorthaired Pointers in field trial events, both regionally and nationally.